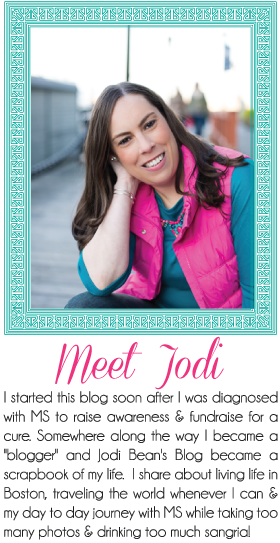 Jodi Bean's Blog: Remembering. . . Please pray for my friend Stacy today as she is remembering her mother Caroline who died one year ago today. Stacy I wish you weren't so far away so I could be with you today. I'm so happy you will be here in just over a week. Love you and sending you hugs! Definitely praying. I just can't imagine. The Day After. . . Celebrating My Birthday (All Week)! Boston MS Walk is in 9 Days!! Meeting Blog Friends In Real Life. . . Does Your Family Eat Dinner Together?